Shortly after an earthquake struck the East Coast, people ran home to check on their possessions. Many found everything intact. But some weren’t so lucky. Caps fan Ashley Colassard found that her limited edition Inova Blood Drive John Carlson didn’t make it. 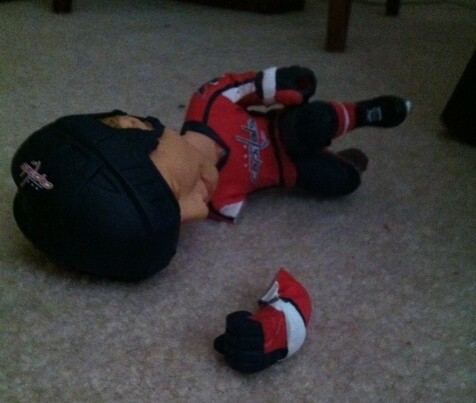 Colassard tweeted a photo of the casualty, as first reported by Caps Overtime. He lost his arm, one of the rarest injuries in hockey. It’s unclear how Carlson will play one-handed in the coming season, but we’ll assume he’ll at least be demoted to the third line. 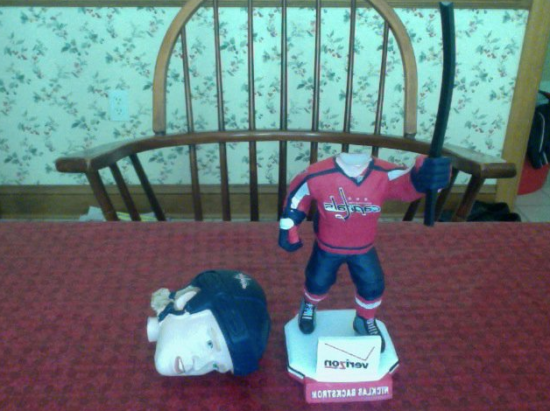 Jack Anderson, blogger from Kings of Leonsis, found Nick Backstrom, decapitated. The following image may be disturbing to some. Here is another. 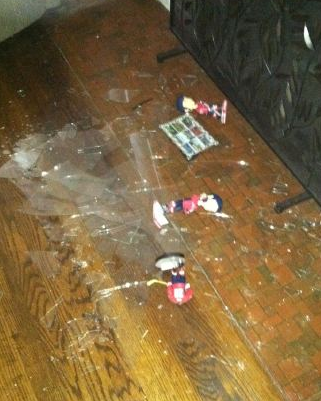 It’s Mr. Sasha ‘Headless’ Semin, from @make_lemons, and also a stickless Nicky. 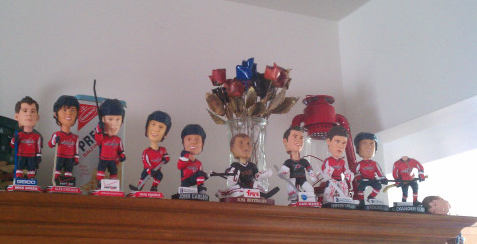 See the decapitated Semin at the end of this shelf from @CapsGoalieLove.